Funeral Services for James “Jim” L. Laska, 58, Norfolk, will be 11:00 a.m., Wednesday, August 22, 2018 at the Home for Funerals Chapel, 708 Georgia Ave.. Reverend Scott Schilmoeller will officiate. Burial will be at Prospect Hill Cemetery. Visitation will be Tuesday 5:00 to 8:00 p.m. at the Home for Funerals Chapel. Jim died on Wednesday, August 15, 2018, due to complications of a lung cancer surgery at CHI Health – Creighton University Medical Center – Bergan Mercy in Omaha, NE. Jim was born in O’Neill, Nebraska on January 12, 1960, to John Laska and Frances “Fran” (Nowak) Laska Hupp. Jim’s family moved to Norfolk, Nebraska, when he was three, and he attended Sacred Heart Grade School through 8th grade. He attended and graduated from Norfolk Catholic High School. Jim participated in Boy Scouts and became an Eagle Scout. He was an active member of the Jaycees in Norfolk and later became President of the Jaycees. He was a member of the Sons of the American Legion for 34 years. He married and had two daughters, Stephanie Laska, and Natasha (Laska) Scherber. He loved to take the trips with the girls and they traveled as a family to the Black Hills of South Dakota, Arizona, Colorado, Canada, and Minnesota. Jim loved taking the girls on camping trips in Orchard and Long Pine, Nebraska, Merritt Reservoir in Valentine, Nebraska, and Lake Traverse in South Dakota. On June 28, 2013, Jim married Nancy Riley in Pierce, NE. He enjoyed traveling with Nancy to Louisiana, Kansas, Wisconsin, and Missouri. Jim loved to explore the many treasures of the Nebraska Junk Jaunt. Jim had over 30 years of experience as a plastic mold technician and machinist and worked for manufacturers in Nebraska, Wisconsin, Kansas and South Dakota. 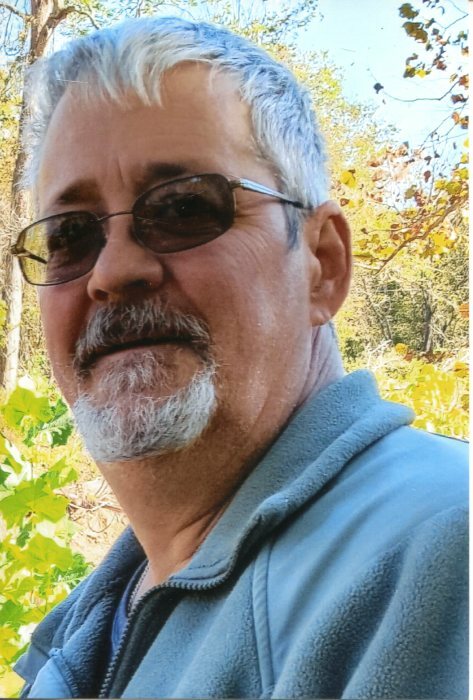 Jim enjoyed fishing, boating, camping, and hunting. He was an outdoorsman and loved hunting. He spent much of his time gardening, canning, and cooking. Jim loved World War II history and was a bookworm. If Jim believed in someone, he would do anything to help. He is survived by wife Nancy Laska of Norfolk, mother Fran Laska Hupp of Norfolk, children Stephanie Laska and fiancé Sterling Harris of Watertown, SD, Natasha (Matt) Scherber of Republic, MO, Grant (Nicole) Booker of Shenandoah, IA, Chance (Beth) Booker of Crescent, IA, Syndahl (Jeremy) Housh of Council Bluffs, IA, and Karissa (Cory) Jennings of Omaha, nine grandchildren, brothers Mike (Monica) Laska of Pierce and Greg (Michelle) Laska of Orchard, father-in-law and mother-in-law Paul and Helen Riley of Essex, IA, brother-in-law Curtis (Karen) Riley of Essex, IA, sisters-in-law Karol Siekman of Malvern, IA, Paula Vandusen of Essex, IA and Sara Sullender of St. Joseph, MO, and his dog “Bella the Beagle”. He was preceded in death by his father John Laska, son Shawn Michael David Falk, grandparents, Elizabeth and Louis Nowak and Mary and Stanley Laska, and numerous aunts and uncles. The family would like to express their gratitude for the medical staff at CHI Health - Creighton University Medical Center - Bergan Mercy in Omaha, Nebraska. They would also like to express their gratitude for those who have shared love and support in celebrating and honoring Jim’s life.